A pioneer of sustainable development, a business partnership that’s converting landfill emissions into electricity, and some solar-powered toilets, were among the local government success stories recognised in the recent 2016 EECA Awards. 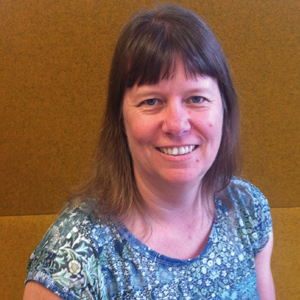 The EECA Awards, which honoured winners in 10 categories for a range of energy management projects across business, community and the public sector, saw sustainability manager Viv Heslop take the energy leadership trophy for her role championing energy efficiency at Panuku Development Auckland. As an urban planner and sustainability strategist, Viv Heslop has over 20 years’ experience in local and central government, and in consulting. But it was for her role ensuring energy efficiency was entrenched in the Auckland waterfront Wynyard Quarter redevelopment that scooped for her the EECA Award. Viv developed first-class sustainability plans for the urban regeneration project, achieving group-wide support for energy efficiency by signing developers and tenants who agreed to meet high environmental standards. She also created the concept of a ‘smart precinct’ using New Zealand-first technologies which capture and monitor water and energy use in real-time. EECA Awards judges say Viv has lifted the standards for sustainability in the Queen City. The leadership of fellow Aucklander Michelle Dawson was also applauded in the awards. Michelle is credited with the widespread uptake of LED and energy efficient lighting across public spaces in the city, dramatically reducing Auckland City’s electricity bill. Judges say her influence as an energy expert at the former Waitakere City Council and then at Auckland Council was behind their transition to energy efficient outcomes for council properties. Michelle was highly commended by judges in the energy leadership category of the awards. 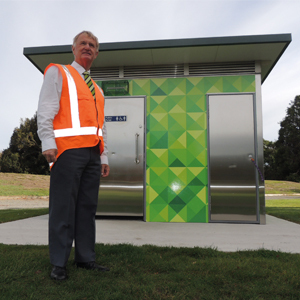 Christchurch City Council was commended by judges in the public sector category for its solar-powered public toilet project. Designed by Exeloo, the facilities use solar photovoltaic collectors, battery storage, LED lamps and daylight and sensor switches, not only making savings to the city’s electricity bill, but also on infrastructure costs. Without the need to hook up to the national grid, cabling and trenching costs have been avoided, with savings ranging from between $10,000 and $50,000 per site. Eleven facilities are planned throughout the city, with more on the cards as the repair and rebuild process continues. In Hawke’s Bay they’re removing potent gas from the atmosphere and using it to make electricity. The Omarunui Landfill Gas Partnership, which brings together Hastings District Council and Pioneer Energy, was commended in the renewable energy category. The $1.8 million project takes methane gas from the Omarunui Landfill, jointly owned by the district council and Napier City Council, and converts it into electricity. The gas, which would otherwise just be flared, provides enough electricity for 1000 homes. Award judges described the project as an outstanding example of renewable energy with multiple benefits while enhancing the security of electricity supply to Hawke’s Bay and reducing the need for other greenhouse gas-emitting energy generation. Local government transport initiatives also received kudos: Kapiti Coast District Council for its programme of transport efficiencies and driver training, and Christchurch City Council-owned Red Bus for its use of mobile technology that informs bus drivers of their fuel-efficient driving behaviour. Winner of both the community and public sector categories in the 2014 EECA Awards, Kapiti Coast District Council has achieved an average 46 percent reduction in greenhouse gas emissions over the past three years. In this year’s awards the council was commended by judges in the public sector category for its ‘emissions treble’ campaign which has so far saved 56 tonnes in greenhouse gas emissions and $20,500 in public funds. In the new campaign, the council has turned its attention to lowering its greenhouse gas emissions through transport efficiencies, including vehicle maintenance and lower mileage, and driver training. Training was provided for the most frequent drivers, which was then extended to all staff in the form of fuel efficiency tips on the intranet and in the staff newsletter, alongside promotion of walking, cycling and public transport. In 2014-15 the council saw a 12 percent reduction in petrol and diesel used by its fleet. As well, the Kapiti Coast world-first electric refuse collection truck has clocked 52,000 kilowatt-hours in energy efficient rubbish collection since it took to the road in 2013, and continues to generate fuel savings for the council of around $3800 per year. More recently, a new 32 kilowatt grid-tied, solar electric system, installed at the Paraparaumu wastewater treatment plant last year, is expected to generate 24,000 kilowatt-hours of energy per year and save six tonnes of greenhouse gas emissions and $6500 in energy costs each year. In Christchurch, Red Bus is the first bus company in New Zealand to implement EECA’s heavy vehicle fuel efficiency programme. Added to this, on-board technology in the cabs of buses communicates with drivers so they can track their fuel-efficient driving behaviour. The red, amber, green warning system reacts to speed, braking, acceleration, cornering and idling. The detailed feedback tells Red Bus which drivers display excellent driving and an incentive scheme rewards drivers for their fuel-efficient driving behaviour. Conservative driving is resulting in reduced fuel consumption, fewer greenhouse gas emissions, reduced tyre wear, savings on repair and maintenance, and for 3.8 million passengers each year, increased comfort and safety. Red Bus says its fuel saving plan could save four to five percent of its $2 million annual diesel costs, with additional repair and maintenance cost savings expected to add to that over time. Red Bus was commended in the transport category of the EECA Awards, judges saying the driver training programme would impact on driving behaviour both inside and outside of work, and that the combination of innovation and staff incentive made great business sense. EECA chief executive Mike Underhill says the EECA Awards have proven that energy efficiency not only saves money for ratepayers, it also improves performance and is better for the environment. The EECA Awards celebrate organisations and individuals that demonstrate excellence in energy efficiency and renewable energy. The awards were presented at a ceremony in Auckland on May 18.